When will be Wonderfully Weird next episode air date? Is Wonderfully Weird renewed or cancelled? Where to countdown Wonderfully Weird air dates? Is Wonderfully Weird worth watching? Wonderfully Weird showcases some of the most captivating scenes of crazy animal behaviours in a selection of informative and entertaining shows. If looks can be deceiving then these wonderfully weird critters give deception a whole new meaning. From a mouse that howls like a wolf to a see-through frog or an alien-looking shrimp, these bizarre beauties show us just how wonderful weird can be. Bizarre beauties who show us how wonderful weird can be; a mouse that howls like a wolf; a see-through frog; an alien-like shrimp. An insight into the lives of nature's strangest creatures, including a lizard that can shoot blood from its eyes, and centipedes that glow in the dark. 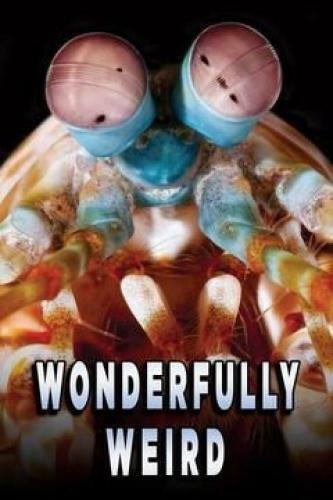 Wonderfully weird critters that give deception a whole new meaning. Animals with bizarre behaviors, tactics and skills. Wonderfully Weird next episode air date provides TVMaze for you. EpisoDate.com is your TV show guide to Countdown Wonderfully Weird Episode Air Dates and to stay in touch with Wonderfully Weird next episode Air Date and your others favorite TV Shows. Add the shows you like to a "Watchlist" and let the site take it from there.